Gregorio Conrado Álvarez Armelino (also known as “el Goyo”) was born on 26 November 1926 in Montevideo. He was the President of Uruguay from 1981 to 1985 and, as such, he was the last head of Uruguay’s military dictatorship which had begun in 1973. Álvarez joined Uruguay’s military academy in 1940 and he was later to become the head of Montevideo’s mounted police in 1962. 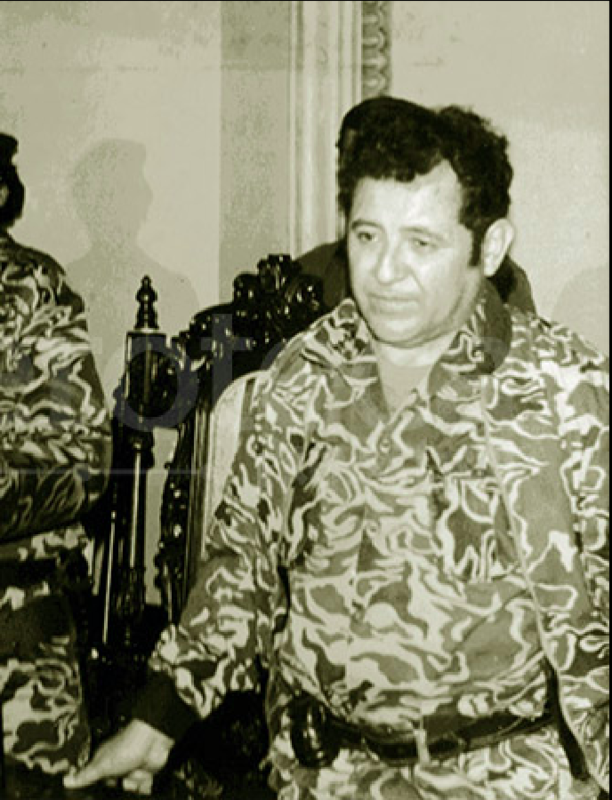 In 1971 he was promoted to be a general and became Chairman of the Joint Chiefs of Staff – “ESMACO” –, an internal organisation at the armed forces which was created in order to lead the fight against the “Tupamaro” guerrillas. When the military took power in 1973, Álvarez, as Chairman of the Joint Chiefs of Staff, became the permanent secretary of the National Security Council. This new body was chaired by the commanding officers of the army, navy and air force, as well as by the defence, home and foreign affairs secretaries. In 1978, Álvarez went on to become Commander in Chief of the armed forces and remained in this position for almost a year, after which his influence seemed to diminish. However, in 1979, a series of promotions within the armed forces saw a not insignificant number of Álvarez’s followers rise to key positions. In 1980, the armed forces sought to legitimise their position by organising a popular vote on changes to the constitution, a move that was heavily criticised by political opponents. In the end, Uruguayans demonstrated their opposition to the new constitution with 57.2% voting against it in a referendum that was held on 30 November 1980. On 1 September 1981, by pressuring the National Security Council, Álvarez succeeded in being named president. With this title, he continued to repress the Tupamaros as well as trade unions. On 12 February 1985, Álvarez ceded power to the president of the Supreme Court of Justice, who went on to organise elections. On 1 March 1985, Julio María Sanguinetti was elected president. In order to encourage a return to civil peace, Sanguinetti launched a campaign for national reconciliation and in 1986 the Law of Expiration of the Punitive Claims of the State was adopted and became commonly known as the “law of impunity” and the “law of expiry”. This law saw the State renounce all punitive power for the violations of human rights committed during the period of June 1973 to March 1985. These violations had been committed by military officials and the police either for political motivations or when exercising their duties as ordered by their superiors. In spite of the law of impunity, following the submission of complaints from the parents of the disappeared, Álvarez was arrested and imprisoned on 17 December 2007. The parents of the disappeared submitted a complaint on 16 May 2007 and, following this, on 12 November 2007, Uruguayan public prosecutor Mirtha Guianze announced charges against Álvarez. On 17 December, Luis Charles, a judge, issued a warrant for his arrest and on the same day, Álvarez was arrested and detained at the Piedras Blancas military prison. Álvarez was accused of participating in the forced relocation of people from Argentina to Uruguay as well as forcing the disappearance of some 30 Uruguayans in 1978 when he was commander in chief of the armed forces. This was carried out under the “Cóndor Plan”, which was a collaborative effort between the secret services working under the dictatorships of Chile, Argentina, Uruguay, Paraguay and Brazil that aimed to eliminate the different governments’ political opponents that were taking refuge in these territories. The primary evidence supporting the charges against Álvarez is a circular, “Circular no. 7777”, signed by Álvarez and in which he declares that he will take responsibility for the actions taken in the fight against opposition groups. Also sought after for these same charges are navy captains Juan Carlos Larcebeau, who was also arrested on 17 December 2007, and Jorge Troccoli, who remains at large – although an international arrest warrant has been issued against him. All three could be imprisoned for 25 years. Legal action was brought against Álvarez and his two co-defendants following the decision on 11 September 2006 by judge Luis Charles to charge eight police and military personnel in spite of the 1986 amnesty law. This was seen as an historic moment and the decision therefore created jurisprudence. On 16 April 2008, following various requests for reconsideration and appeal, the Court of Criminal Appeal confirmed that Álvarez and Larcebeau would be charged. 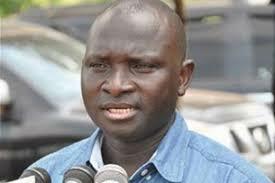 However, the court changed the charge of forced disappearance to the crime of serious aggravated murder. The court considered that the crime of forced disappearance could not be applied in this case given it had only recently been incorporated into national legislation. The court believed that it could not be applied retroactively to events that took place in the 1970s. 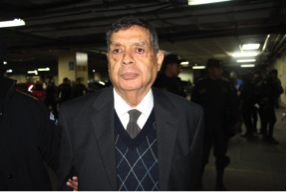 Finally, on 21 October 2009, Álvarez was found guilty of 37 counts of serious aggravated murder and imprisoned for 25 years. Larcebeau was sent to prison for 20 years after being found guilty of 29 counts of serious aggravated murder. On 27th August 2012, the Court of Criminal Appeal upheld the sentence. On 2 September 2011, the Supreme Court of Justice in turn also upheld the sentence of 25 years imprisonment for Álvarez. In addition, following an application from the Office of the Prosecutor, on 24 March 2012 judge Sánchez Lechini made the decision to charge Álvarez with the serious aggravated murder of Robert Luzardo, an activist from the Tupamaros National Liberation Movement who died in 1973.